I’ve tried to write this article several times, over the last couple of years, and always ended up putting it aside “until later.” Even this time I started to repeat my frustration, realizing that even a few thousand words could not explain this subject properly, but I persevered by believing what scant information I could present here, although not complete, could be a starting point for those wishing more accurate knowledge. 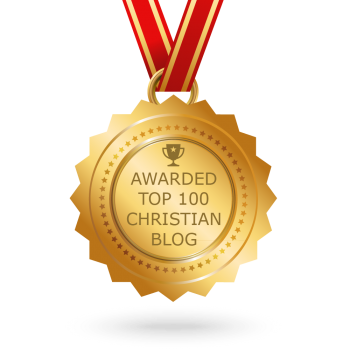 The reasons that this isn’t an easy subject to write about are many; what is written in the original languages is confusing, what has been translated into the different versions is contradictory, and there are far too many differing opinions and theories among various church organizations, bible commentators, and research academics. And everybody thinks they are right and everybody else is wrong. Go figure! 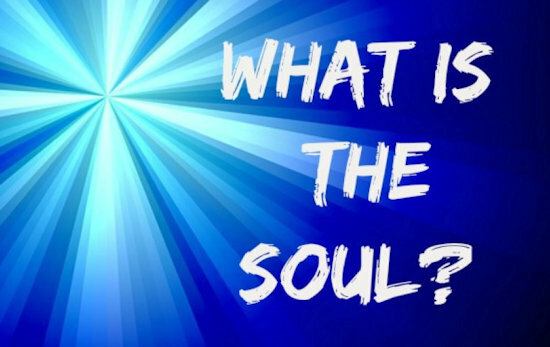 If the soul is all that important, one would think that this concept would be explained throughly and precisely in the Bible, but it is not. Of course, if humankind did not die, we would not be worried about our soul or spirit having a life after death. 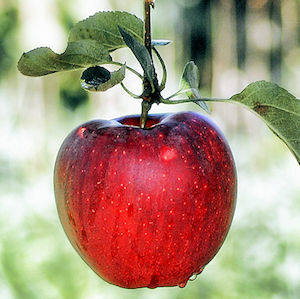 God created Adam and Eve to live forever, but because they didn’t keep God’s commandment, we die. The LORD God took the man and put him in the garden of Eden to work it and keep it. And the LORD God commanded the man, saying, “You may surely eat of every tree of the garden, but of the tree of the knowledge of good and evil you shall not eat, for in the day that you eat of it you shall surely die” (Genesis 2:15–17, ESV). Most Christians, and many who are not Christians, believe in a soul, so if we really have one, where did it come from? Some say it is given to us by God. Some say it is passed to us by a parent or parents. Some even say it is transferred to us from a donor after their death. These thoughts create more questions. Is the soul mortal or immortal? Is it spirit or part of the body or composed of some other substance? Or, is “soul” just another word for something else and if so, what is it? What we will do is examine various Judeo-Christian faiths and what some specialists say, as well as what the Bible says, and then present a thin overview of this soul and spirit conundrum. And I’ll add a personal thought or two or more, so just pick and choose what you find comfortable, I guess — that seems like what others are doing. Does it really matter what we think? Maybe — maybe not. If you fully live your life as God wants you to, then you will get your reward, even if you do not fully understand all the finer details of this subject, so in that case, it doesn’t matter. But, for some people, knowing the finer details of this soul “thing” in relation to God’s creation of humankind could shift your focus to living your life for him; then it will matter. You decide. The Church of Jesus Christ of Latter-day Saints (Mormons) believes that “the soul is the union of a pre-existing, God-made spirit and a temporal body, which is formed by physical conception on earth. After death, the spirit continues to live and progress in the Spirit world until the resurrection, when it is reunited with the body that once housed it.” Catholics teach that the soul is created immediately when needed and is immortal, therefore both living and conscience after death. In Judaism the soul was believed to be given by God to Adam as mentioned in Genesis 2:7.3 Jews are unclear about the soul after death, and various sects have varying ideas. “There are no direct references in the Bible to the origin of the soul, its physical nature, or its relation to the body.”7 The Bible does state that the soul is not everlasting — “The soul who sins shall die” (Ezekiel 18:4, NKJV). In fact, the term “immortal soul” is in neither the Old Testament, nor the New Testament of the Bible. The two words translated as soul in the Bible are the Hebrew nephesh and the Greek psuchē and can refer to people, animals, or the lives of people and animals.8 Basically, the Hebrew view of life and soul was merged and anything after death was rather indistinct, because they had a difficult time understanding how a person could exist without a body. “In the Old Testament the soul signifies that which is vital to man in the broadest sense [and] in a narrower sense the soul denotes man in his varied emotions and inner powers.”9 Sometimes, the word soul can take on an ambiguous structure of meanings. The Bible says the soul dies with its human body (Ezekiel 18:4), but also says that upon death “then the dust will return to the earth as it was, and the spirit will return to God who gave it” (Ecclesiastes 12:7, NKJV). This does suggest that the soul and spirit are two different things. If this is all true, than what happens to our spirit after we die? Jesus delivered detailed information about the future of humankind, including the future of those who have already died or will die. The entire Bible, in fact, unfolds God’s plan to restore the earth to its condition before the fall of humankind when sin entered the world in that garden he created in Eden. Before that tragic transgression of God’s command, humankind was not going to die. Are we (or our spirit) going to heaven when we die? Or, hell? Or, neither? The Bible says we will die; it also says our soul will die, but it says our spirit will not, so let’s try to sort this out. To reach a logical answer, we must introduce something churches aren’t talking about very much any more — a resurrection. Many pastors in modern churches talk so much about a rapture (that word, by the way, isn’t mentioned in the Bible), that they skip over the fact of a resurrection (which IS in the Bible). Repent therefore, and turn to God so that your sins may be wiped out, so that times of refreshing may come from the presence of the Lord, and that he may send the Messiah appointed for you, that is, Jesus, who must remain in heaven until the time of universal restoration that God announced long ago through his holy prophets (Acts 3:19–21, NRSV). The word “refreshing” is the Greek anapsyxis and refers to rejuvenation.15 The word “restoration” is the Greek apokatastasis and means “restitution.”16 By using these translations of those two words in the above scripture, it would explain that the “times of refreshing” will come from Jesus, which is the same as the “time of universal restitution” announced by God long ago. I’m not suggesting that scripture wording should be changed, but there are already a variety of different thoughts expressed with these verses throughout the translations available today. “Our friend Lazarus has fallen asleep, but I go to awaken him.” The disciples said to him, “Lord, if he has fallen asleep, he will recover.” Now Jesus had spoken of his death, but they thought that he meant taking rest in sleep. Then Jesus told them plainly, “Lazarus has died, and for your sake I am glad that I was not there, so that you may believe. But let us go to him” (John 11:11–15, ESV). 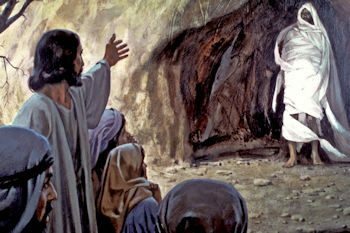 “Take away the stone.” Martha, the sister of the dead man, said to him, “Lord, by this time there will be an odor, for he has been dead four days.” Jesus said to her, “Did I not tell you that if you believed you would see the glory of God?” So they took away the stone. And Jesus lifted up his eyes and said, “Father, I thank you that you have heard me. I knew that you always hear me, but I said this on account of the people standing around, that they may believe that you sent me.” When he had said these things, he cried out with a loud voice, “Lazarus, come out.” The man who had died came out, his hands and feet bound with linen strips, and his face wrapped with a cloth. Jesus said to them, “Unbind him, and let him go” (John 11:39–44, ESV). Notice that at first, Jesus only indicated to his disciples that Lazarus was asleep and when they did not understand, he then flatly stated that Lazarus was dead. The reason this expression was used was because when one dies, to God they are only “sleeping in death.” It is an incidental hiatus from life, a mere temporary condition. It is interesting, too, that upon returning to life, Lazarus did not give any indication of his experiences during those four days of being dead, as would be expected if his soul or spirit or anything else lived and went somewhere else. This would indicate the truth of what is written in Ecclesiastes chapter 9. “The living at least know they will die, but the dead know nothing . . . For when you go to the grave, there will be no work or planning or knowledge or wisdom” (Ecclesiastes 9:5; 9:10, NIV). 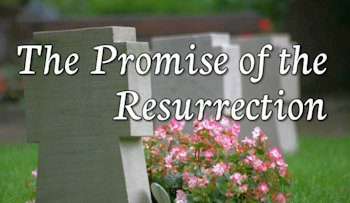 So, since we have already established that the spirit does not die, but goes back to God, how do we establish the logic of a belief in a future life, one that comes later, after the future resurrection? If the spirit is what makes a human a person and it were given to us by God, it stands to reason that God can keep and store the information or data pertaining to this spirit, intact but in a suspended state, until a future body can be provided during the resurrection. We go to sleep at night and wake up in the morning and it should be much the same during our sleep in death. Upon being awakened, we probably won’t even realize how much time has passed — a few hours or a few millennia. There would be no memory of time during that life-suspended state. Is this idea a little too “far out” for you? I know that this sounds like the plot of a science fiction story, but look at today’s technologies and what new things are coming down the pike to our very own lives in the very near future: life extension, gene tweaking, uploading and downloading information to and from the brain, communication through our minds, and so much more. These technologies are being researched and planned by humans right now; think of how much more can be done by God, who created this universe. Storing a person’s life as data is much easier to believe today than it was just fifty years ago. The Bible shows that “soul” and “spirit” are two different things and although the soul dies with the body, the spirit continues in a sleep state — as a static unconscious copy of our life up to the point of death. Upon the promised resurrection, this copied data set will be introduced into our new body (generated as a duplicate of the original) and we will live in a renewed world without the influence of sin, where we will be given the chance to grow into perfection right here on earth. Will there be anyone that really goes to heaven? By this question, one usually means will there be anyone who will live with God in a spiritual form in our Creator’s realm? Possibly! 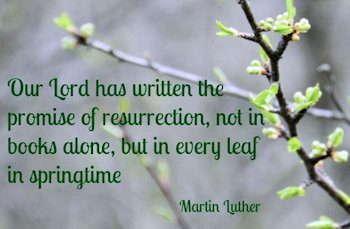 The Bible does mention two resurrections, but they don’t share the same fate. This treatise is very long already, so that study will have to wait for another time. Souls being pre-existent and prepared before the foundation of the world – explicit statement from the Apocrypha Slavonic Book of Enoch (xxiii, 5). Singer, Isidore, (Ed. ), The Jewish Encyclopedia: A Descriptive Record of the History, Religion, Literature, and Customs of the Jewish People from the Earliest Times to the Present Day, 12 Volumes, (New York; London: Funk & Wagnalls, 1901–1906), p. 472. Singer, Isidore, (Ed. ), The Jewish Encyclopedia: A Descriptive Record of the History, Religion, Literature, and Customs of the Jewish People from the Earliest Times to the Present Day, 12 Volumes (New York; London: Funk & Wagnalls, 1901–1906), pp. 472–473. A) nephesh – Durst, Dennis, “Soul,” John D. Barry et al., (Ed.) The Lexham Bible Dictionary, (Bellingham, WA: Lexham Press, 2016). B) psuchē (Greek #5590) – Strong, James, The New Strong’s Dictionary of Hebrew and Greek Words, (Nashville: Thomas Nelson, 1996). Note: In the New Testament often translated as “life” in some translations (Mark 10:45; Acts 20:24; Rev 12:11); in the Old Testament major usages communicate: 1) indicate meanings of desire (Ps 25:1; 42:2), 2) personal or individual being (Gen 12:5; Lev 2:1), 3) a conscious self (Lev 11:44–45), 4) emotional state (Gen 26:35; Job 21:4; Eccl 7:9). Elwell, Walter A. and Beitzel, Barry J., “Soul,” Baker Encyclopedia of the Bible, (Grand Rapids, MI: Baker Book House, 1988), vol. 2, pp. 1987-1988. Brand, Chad and Smith, Fred, “Soul,” Charles Draper et al. (Ed. ), Holman Illustrated Bible Dictionary, (Nashville, TN: Holman Bible Publishers, 2003), p. 1522. Laidlaw, John, “SOUL,” (Ed.) James Hastings et al., A Dictionary of the Bible: Dealing with Its Language, Literature, and Contents Including the Biblical Theology, (New York; Edinburgh: Charles Scribner’s Sons; T. & T. Clark, 1911–1912), p. 608. Bercot, David W., (Ed. ), “Soul,” A Dictionary of Early Christian Beliefs: A Reference Guide to More than 700 Topics Discussed by the Early Church Fathers, (Peabody, MA: Hendrickson Publishers, 1998), p. 627. Schultz, Carl, “Ecclesiastes,” in Evangelical Commentary on the Bible, Baker Reference Library, (Grand Rapids, MI: Baker Book House, 1995), vol. 3, pp. 450–451. Barry, John D. et al., Faithlife Study Bible, (Bellingham, WA: Lexham Press, 2012, 2016), Ac 3:20–21. Exell, Joseph S., The Biblical Illustrator: Romans, (New York; Toronto; London: Fleming H. Revell Company, n.d. [about 1905], pp. 676–677. Jamieson, Robert, Fausset, A. R., and Brown, David, Commentary Critical and Explanatory on the Whole Bible, (Oak Harbor, WA: Logos Research Systems, Inc., 1997), vol. 1, pp. 406–407. Whitaker, Richard et al., The Abridged Brown-Driver-Briggs Hebrew-English Lexicon of the Old Testament: From A Hebrew and English Lexicon of the Old Testament by Francis Brown, S.R. Driver and Charles Briggs, Based on the Lexicon of Wilhelm Gesenius, (Boston; New York: Houghton, Mifflin and Company, 1906). Schultz, Carl, “Ecclesiastes,” in Evangelical Commentary on the Bible, Baker Reference Library, (Grand Rapids, MI: Baker Book House, 1995), vol. 3, p. 440. I read your article and agree with a great deal of your views. I find your last paragraph to conflict with what I’ve Been taught and believe. Jesus said “I go to prepare a place for you and I will come back and receive you unto myself that where I am ye May be also.” We’ve always been taught that would be heaven. But your article leads me to think eternity with Jesus will be here on earth. Am I understanding you correctly? If so, that brings me to the question of near death experiences- which if to be believed take place in heaven. Can you clarify or correct my thinking process of your article? Thank you very much for your time, comment, and questions. I appreciate the thought you put into trying to piece together what I wrote and what I implied. And yes, you understood my thoughts correctly. A proper answer would take another lengthy article, which I do plan to write, by the way. But I will try to give an overview of my thoughts and maybe I can use this as a framework for a future article. My approach to God’s word has always been in trying to follow the logic behind his plan and I’m well aware that most people will reject these ideas on this subject. I am not trying to change anyone’s mind, only give food for thought. The scripture you quoted was Jesus statement in John 14. “And if I go and prepare a place for you, I will come again and will take you to myself, so that where I am, there you may be also” (John 14:3, NRSV). This scripture says nothing about us going to heaven, although most people assume it does. Jesus is not referring to a particular location for us to live in heaven; he is referring to a place being “prepared” while he is in heaven. The Jerusalem Temple in Jesus’ time was symbolic of the Kingdom of God and the city of a new Jerusalem. So, Jesus was preparing a place for Christians in the Kingdom and in the new Jerusalem. The Kingdom of God/New Jerusalem will come down to earth. It does not say we will go to heaven, but that Jesus, as promised, will return to earth. Keep in mind that part of the Lord’s Prayer when Jesus said: “Your kingdom come. Your will be done, on earth as it is in heaven” (Matthew 6:10). And in addition, Jesus also said: “Blessed are the meek, for they will inherit the earth” (Matthew 5:5). Jesus is returning to earth where Christians will help him rule over the nations. The place being prepared is not an apartment in which to live, but a position or place within the government of the Kingdom of God. The position we will hold depends upon many things: how we have been faithful and served God, how we have overcome the evil we faced, how honorable we have lived our lives and treated others, and much, much more. Considering near death experiences (NDE), the Bible says nothing about this idea. It mentions a “sleep” until the resurrection, which is yet to come. “For as all die in Adam, so all will be made alive in Christ. But each in his own order: Christ the first fruits, then at his coming those who belong to Christ” (1 Corinthians 15:11). As it says, this will be after his return. you have answered a few questions I had on this subject. Does it make a difference what we call it, soul or spirit. Your comment is appreciated; thanks for taking the time to write. Since the Bible generally speaks of there being a difference between the soul and the spirit, we should respect that they are revealed to be dissimilar and not confuse others with using the wrong term.